How well do you really sleep? Welcome, and congratulations on finding Insomnia Insight™, a new approach that offers the latest on assessment and natural therapies designed to help you sleep your best. This home sleep study device is a simple and objective measure of sleep quality. Most home sleep tests only test for sleep apnea; SleepImage tests total sleep health. 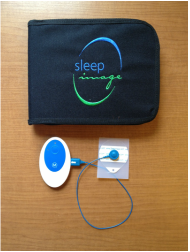 The SleepImage system offers the first indication of poor sleep, identifying the potential for poor health. 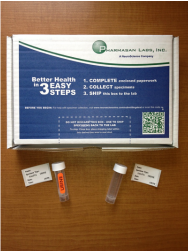 This in-home urine and saliva test kit objectifies biomarkers that are important in the sleep/wake cycle. These results include: melatonin (sleep hormone), cortisol (stress hormone), serotonin, GABA, dopamine, norepinephrine, epinephrine (adrenaline) and others. This test provides a snapshot of your individual physiology and is performed on the same night as the SleepImage test. I am excited to introduce you to the Master Key, a meditation device. Using proprietary Opto-Audio technology, the Transformational Guided Imagery (TGI) device has combined the power of the mind with the force of technology. These devices use a combination of sound and specific patterns of light. The music, sound and light technology of the TGI sessions guide you into a new state of focused awareness-your ideal brain wave state for this creative visualization experience. In a relaxed state, your mind is able to visualize an outcome, and you achieve the change you desire. The small size and portability of the these devices allows you to take your programs with you, wherever you go. Use the programs in your own home, or on a business trip to Beijing. There's no software to install, and no messing with CDs or tapes. They are easy to use. They are compact and portable, easily slipping into a pocket, purse, or briefcase. Plus, you can purchase and download more programs from their website when you are ready for more variety. Give yourself the gift of a Master Key TGI PRO, and discover the mind/body relationship that can help you take control, reach your goals, and be your best! This set includes the MP3 player, the LED glasses and a set of earbud headphones. Your device will arrive preloaded with a combination of tracks I have chosen that support better sleep, less stress and more happiness. I have found this to be a wonderful tool that you can use yourself, anywhere you like, as often as you like. In fact, your entire family can use this device which makes it wonderfully cost effective as a "self-care" lifestyle optimizer. Insomnia Insight™ , a 3-part DVD training series for healthcare providers introducing these new tools for assessment and treatment options.